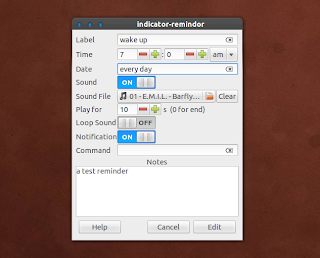 Indicator Remindor is an Ubuntu appindicator that lets you easily schedule reminders or set alarms and it notifies you using notifications, a sound or you can set a custom command. The reminders / alarms can be set to run only once or every day, every month and so on. There are many situations in which you'll find Indicator Remindor useful: you can use it to set reminders about important events, to get a notification when your favourite TV show is about to start or to wake you up in the morning, etc. 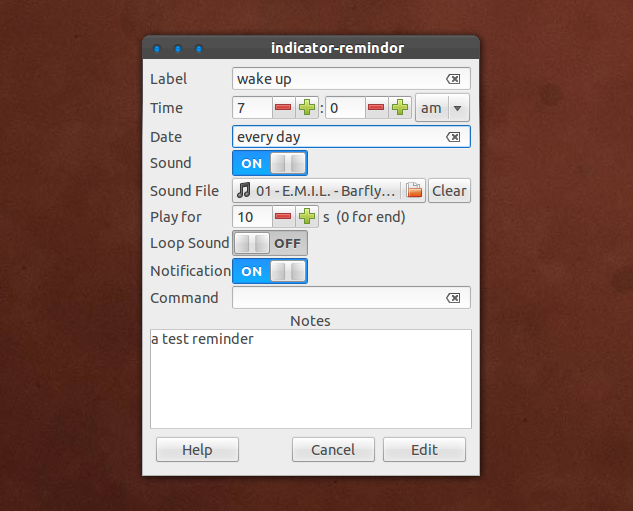 Here, you can set the time when the alarm / reminder should run, set a label for your new reminder, enable/disable sound (and select a sound file) or notification, an option to loop the sound, set a custom command and so on. 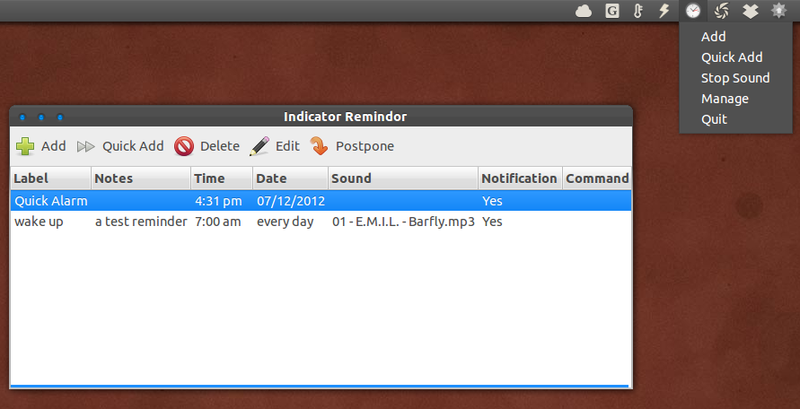 Under "date", you can set either a numeric date like "07/12/2012" or "today", "every day", "next monday", etc. - you can see all the supported options by opening the Indicator Remindor help (press F1 or open it from the menu). You can also set a quick alarm to run in a given number of minutes by selecting "Quick Add". 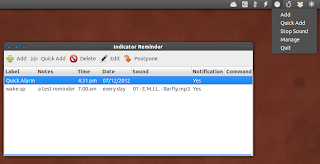 From the Remindor main interface you can select to postpone an alarm by 30 minutes, by clicking the "Postpone" button. There's also an indicator menu entry that lets you stop the alarm sound.